The church has much to teach and much to learn from families about the gifts and challenges of building a more just and compassionate society. 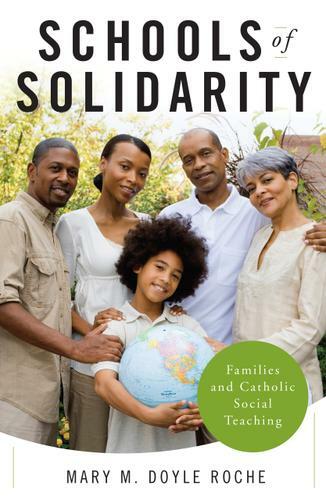 Families are schools of solidarity, working each and every day to deepen relationships within the family itself and with other families both near and far. In Schools of Solidarity, Mary Doyle Roche explains how families can resist dehumanizing elements of our culture (competitive consumption, wastefulness, violence, etc.) and transform the many arenas of daily life (homes, workplaces, neighborhoods, schools, and parishes) so that they honor the dignity of all people, especially the poor and vulnerable. Doyle Roche offers questions and activities for discussion and reflection in conjunction with each of the major themes. The practical activities she suggests encourage families to explore social justice issues and ways they might transform unjust conditions in local and even global contexts.